Okay, well one step forward, and an elegant solution to another problem. 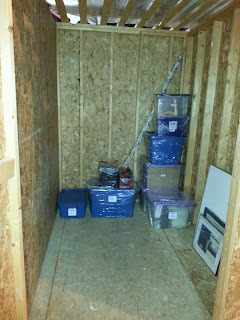 For those of you who have been following along, I had been intending to get a 5’ x 5’ Storage Space so as to save money. Well that would have meant that there would be no room for my Bedroom suite. While I am willing to get rid of it, if I need to, I also would like keep it (if I could). Well, I get that chance. I had originally looked at a 5’ x 10’ Storage Space for $ 115.00 a month. I had decided to settle for a 5’ x 5’ Storage Space for $57.00 per month. 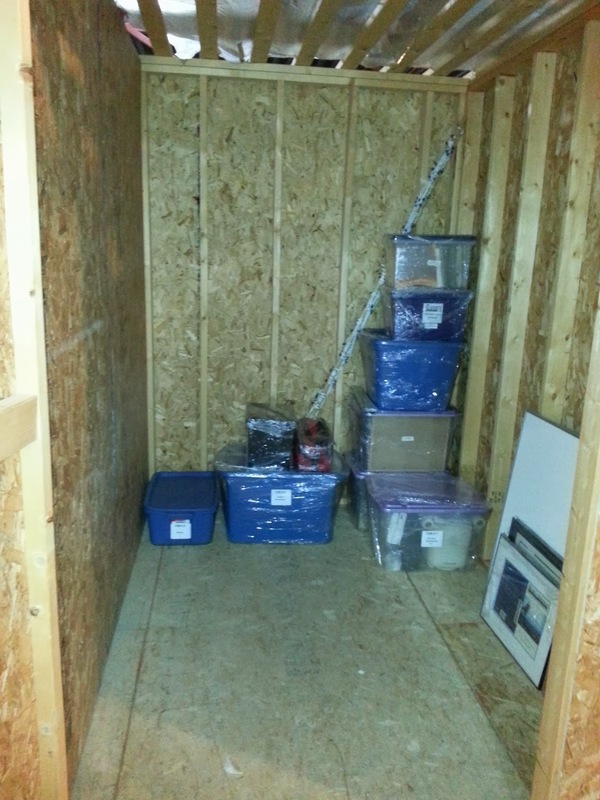 I checked out today to find out that there were no 5’ x 5’ Storage Spaces available and only one 5’ x 7’ Storage Space. This is more than I had wanted to pay but not yet into the “Ridiculous Zone.” So while it is not the $1140.00 that I had originally intended to spend with the 5’ x 5’ Storage Space, it is not the $2300.00 I could have spent with the 5’ x 10’ Storage Space. Since the 5’ x 7’ Storage Space is $74.00 per month and the same every sixth month is free deal applies, that means that it will cost me: $74.00 x 20 (months) = 1480.00. While this is more than I had wanted to spend, with this, I get to keep my bedroom suite . . . and I like my bed. So I went down today and signed the papers and got my storage space. Here is my storage space, so you can imagine how everything will fit. I know it will be a bit of a stretch but I know that I can store all of the stuff I want to keep and still keep the bedroom suite. I was tempted to try to keep the washer/dryer and freezer, but for one, that would be pushing it and two, appliances should be used and not stored. For another thing, I have decided that from now on, once I am through this process, I only want nice things. That doesn’t mean that I will be a snob or only by the most expensive things but what it does mean is that I don’t want to always look at the price. I have been so fixated on the cost of things that “no-name groceries” seem normal and “brand name” is splurging. So when I do get a new place, I don’t want the cheapest washer/dryer that they had on special, I want a nice pair . . . ones that I actually want, not the ones that will suffice. Tomorrow I will shrink wrap the boxes and take them down to the storage space. I will wait till next month before I move the bed, desk and computer into the storage space. It is good to know that I have a place to keep what I want to keep. I can sleep in my truck if I have to but at least the stuff I really want to keep is safe. I will get something, I know it.